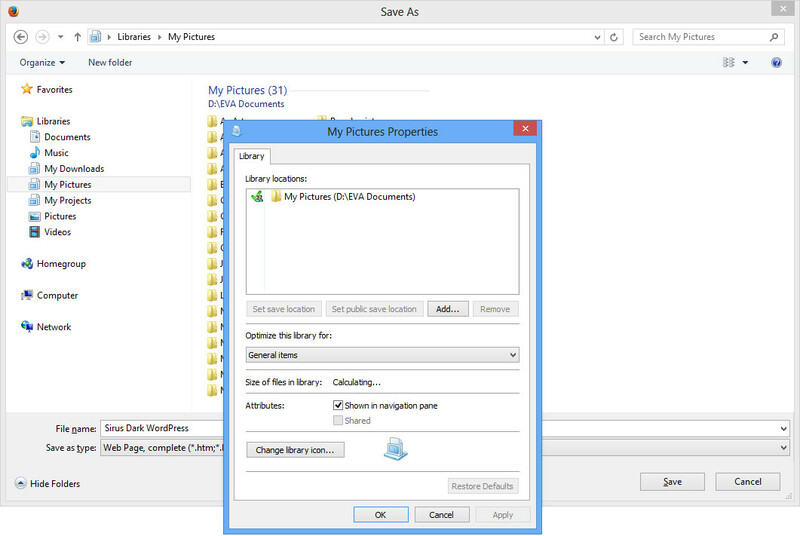 Saving files painlessly in Windows 8 – Easier and faster than XP! That used to be my initial reaction…. Until I used the Libraries. When saving files in Windows 8, you’ll notice the big quick access shortcut buttons are gone (My recent Documents, Desktop, My Documents, My Computer, My Network) in the left side of the save prompt. In Windows XP, I used Tweak UI to customize those shortcuts to point strait at my data hard drive’s folders. Life was good… But, now, it’s even better! Instead, in Windows 8 you have Windows Explorer’s tree view (folders listing) on the left. And that’s where the magic happens. Here’s how to create a custom Library: navigate to your Libraries, then right-click -> New -> Library. Name it, then go in its properties (Alt + Enter), choose a location and voilà! In case you didn’t already noticed, Libraries all use the same folder view. You might wanna read my previous article on this: Windows 8 folders view – Nasty frakin’ oversight from Microsoft? In conclusion, using Libraries I can now save files strait to my most used locations without the hassle of clicking down the trees. Combined with Windows’ Recent places in the Favorites section, I usuallydon’t have to browse more than one or two folders when saving stuff. I’ve already explained how to change the default picture editor in Windows XP, which can allow you to edit files in GIMP or Photoshop right away from a single click of your mouse. So let’s bring this nice feature into Windows 8, shall we? That’s it! No need to restart your PC, the change is immediate. You can now right-click and edit any pictures in Gimp right away, with no superfluous steps! Windows 8 folders view – Nasty frakin’ oversight from Microsoft? For example, if you browse a Library in list view, then any other Library you’ll browse will also be displayed in list view, and so on. Change the view, and voilà! The view will be identical everywhere in the Libraries. What’s cool is folder’s view settings are STILL remembered individually by each and every folders. Just not in the Libraries. What’s also cool, is that since the Libraries use the same view setting, it speeds navigation. So this “oversight” isn’t really one: Libraries thus have a specific goal: to get you to your files and/or folders fast. 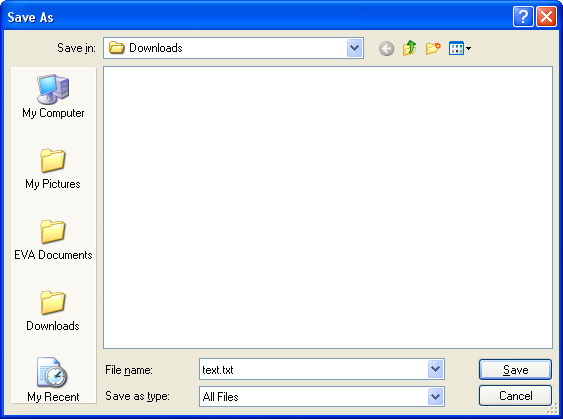 If you want to browse and manage your files with fancy different views, then you must navigate to your files without using the libraries and you’ll then find your custom folder view settings intact. It would have been nice to be able to switch from a Library location the the actual location and respect the user view settings… That’s the real oversight in my opinion. Way to go Microsoft… way to go.